A mysterious UFO emitting a white light was captured on film by stunned onlookers across China on Thursday evening, in what appears to be the result of some unknown high-altitude craft activity over Beijing. Similar sightings were reported in north China’s Inner Mongolia Autonomous Region and northwestern Shaanxi Province. According to RT some speculated that it may have been the failed Soyuz mission carrying Roscosmos and NASA astronauts to the ISS, but that took place at 4:40pm China Standard Time Thursday, and the UFO sightings weren’t reported until around 7pm local time. 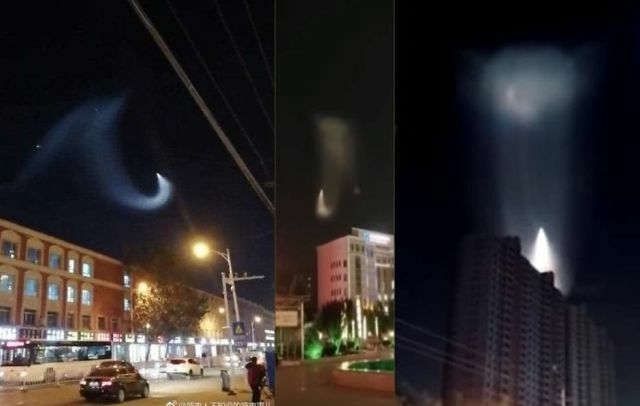 One expert said it resulted from exhaust gas released by a man-made aircraft flying at an altitude high enough to reflect sunbeams while others suggest it was missile test launched from Taiyuan. Below a video of the captivating spiral effect left in the wake of the unknown craft.